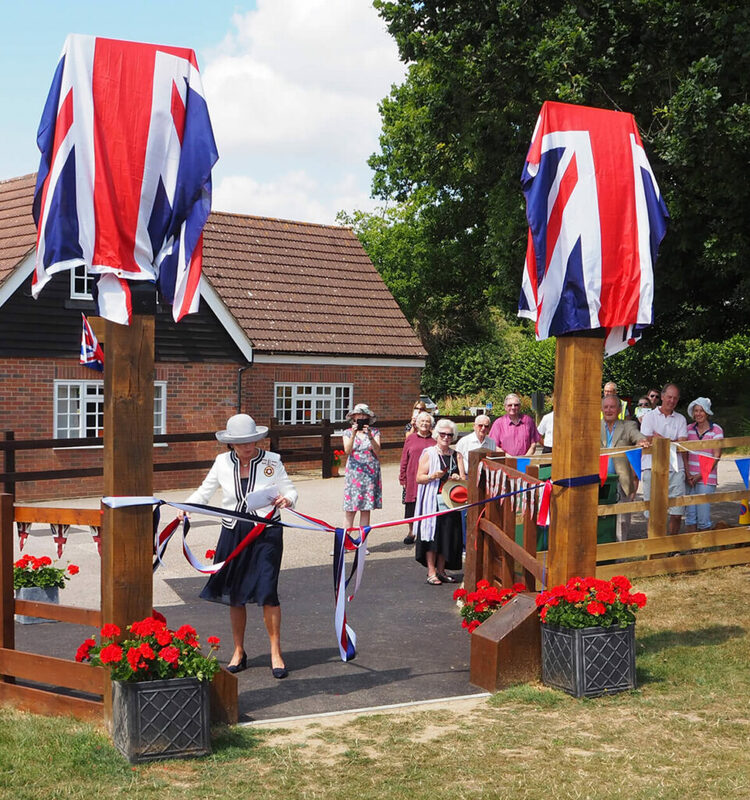 On Saturday 14th July Mrs Georgie Warner DL represented the Lord- Lieutenant of Kent and opened the Centenary Gateway 1918-2018, at Brenchley Memorial Hall. The site of the village hall, and cricket ground together with other green field space, were provided by the community in 1919 for the use of the community in perpetuity. The poet, writer and soldier, Siegfried Sassoon was born in the parish in 1886 and often wrote about cricket in Brenchley. This superb gateway with locally made plaques depicting a soldier and a cricketer make a fitting addition to the Brenchley village site.